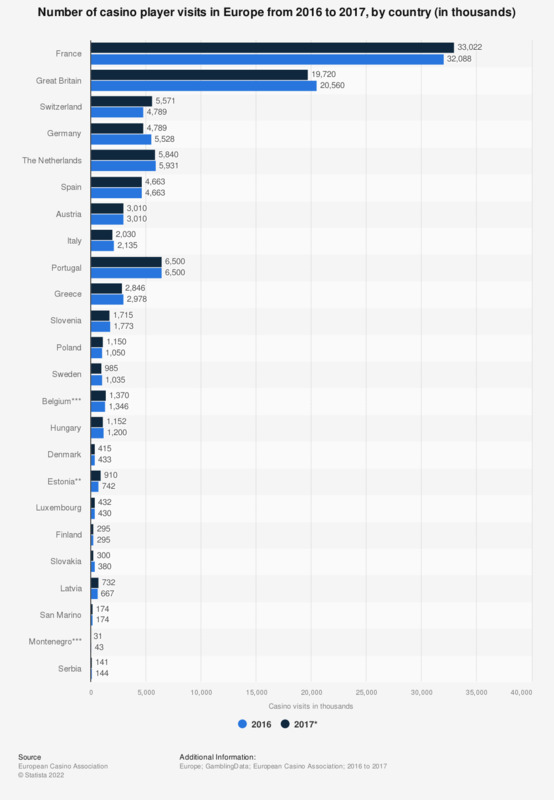 This statistic shows the number of casino player visits in Europe from 2016 to 2017, by country. In 2017, the number of casino player visits in France amounted to 33 million. Of those times you gambled at a casino, where did you go?